An essential element in Christmas around the world is the Christmas tree. We have given ourselves the task of finding the Christmas trees that every traveler should meet at least once in his or her lifetime. So, prepare your bags and join us to meet these famous pines, typical of the Christmas season. 1. To begin this list we would like to mention the largest tree in the world, made of Legos. That’s right, this Christmas tree is in Legoland, Malaysia and is made from over 400,000 Lego pieces. It is worth mentioning that all the adornments of this tree are also Lego pieces, including lights and candles. 2. 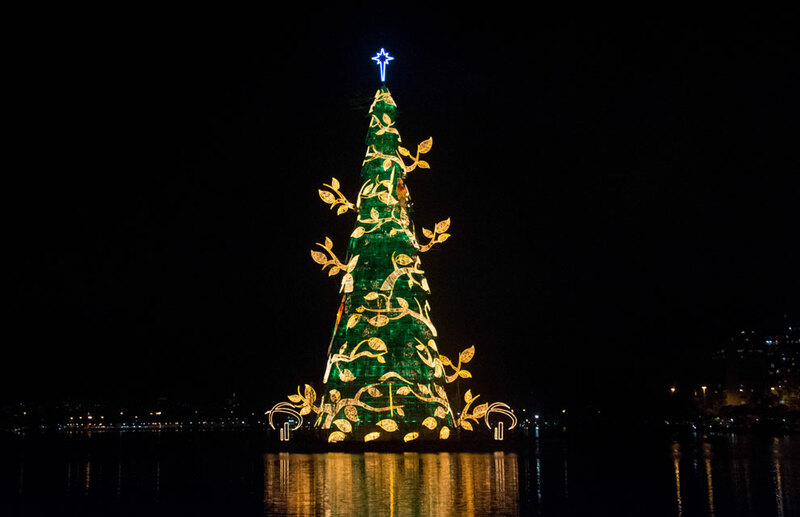 Rio de Janeiro is the proud home of the world’s largest Christmas floating tree. With more than 85 meters of height and near 550 tons of weight, this tree was unveiled in 2014. Its record has been recognized by the book of Guinness and it is located on the Lagoon Rodrigo de Freitas, with more than 3 million lamps and 120 kilometers of lights series. 3. Paris, the city of love and lights, can not be left behind in this list. 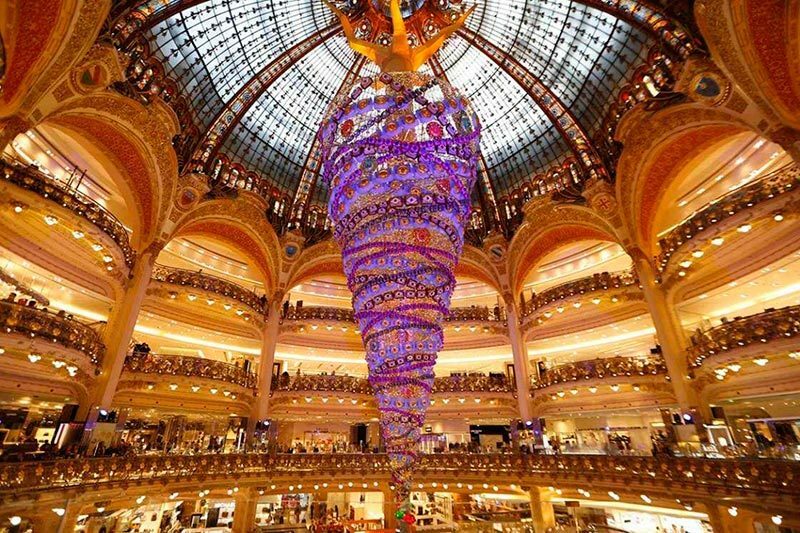 Inside the Galeries Lafayette shopping center is a splendid 25-meter Christmas tree, decorated with stunning Swarovski crystals. In recent years, managers have surprised the public by flipping the tree and showing it upside down throughout the Christmas season. 4. Tokyo, Japan, has always excelled by its extravagant creations, and Christmas can not be the exception. 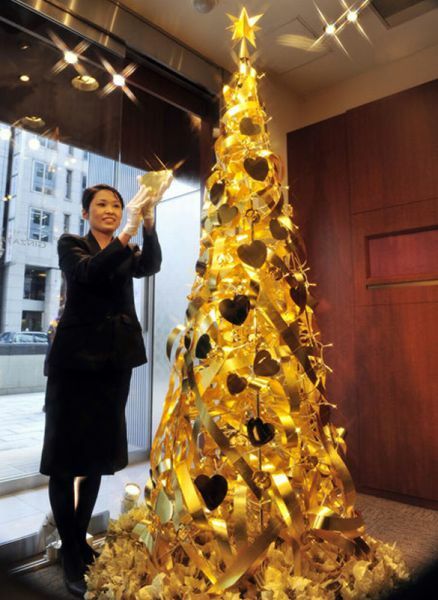 Ginza Tanaka jewelry celebrates its anniversary and has decided that the best way to celebrate is to make a Christmas tree of 2 meters high, made entirely of gold. Its value is close to 2 million dollars, and it has a weight of 30 kilograms of pure gold. Without a doubt, this is a must for lovers of extravagance. 5. 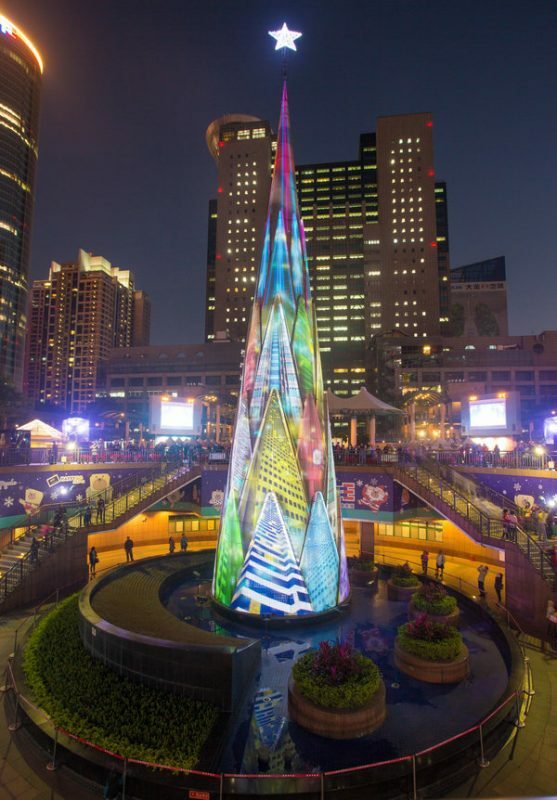 The iconic Christmas tree in Taipei, Thailand offers a unique spectacle for travelers. This tree is unique in the world, since it has a system that allows it to project images in 360 degrees, in a three-dimensional way. 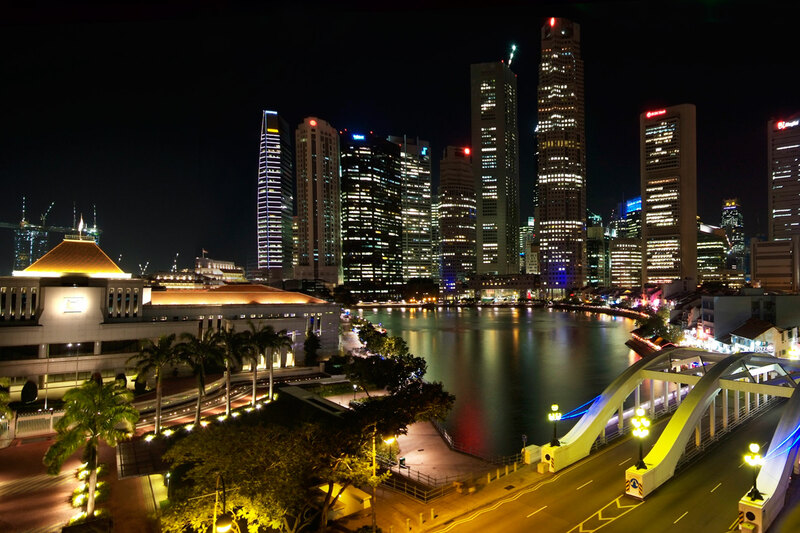 It is made of LED lights and its show is accompanied by music by the famous violinist Lee Szu-hui. You can enjoy this tree from the month of November until January 3rd in any of its shows every 30 minutes from 17:30 to 22:00 hours. What Christmas tree would you like to visit this year?